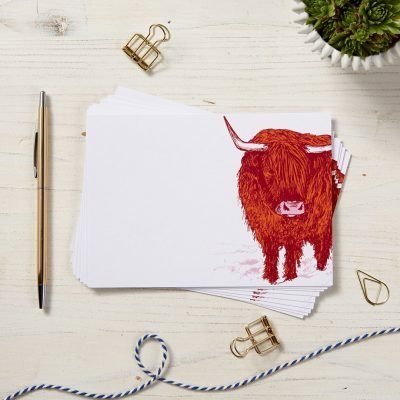 This handy pack of A6 highland cow note cards can be used in the office as well as kitchen! Use these eye-catching index cards to leave reminders for yourself at work or stick on the fridge with tasks for the kids to do when they come in from school. 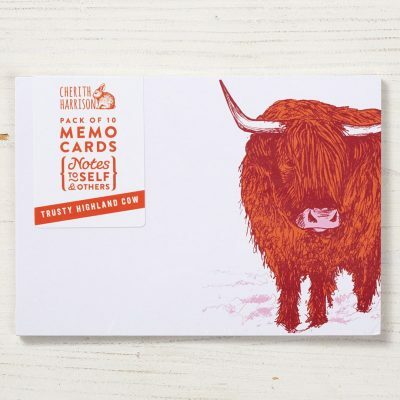 Each pack contains 10 cards for you to write on, with each one featuring Scotland’s favourite beast, the Highland Cow, or ‘heilan coo’ as they are better known as!